A man whose legs moves faster than they appear, Jim Ryun has the record of running over a mile in less than four minutes in his high school days. His story is really encouraging. Jim did not lose hope after being dropped from the basketball and baseball team, but went on to make his life in athletics. The result of his perseverance and efforts came in the form of silver medal that he won in the 1968 Summer Olympics in the 1,500 meters category. Jim Ryun quotations encourages to convert motivation into habit because Jim believes that motivation is something that simply gets us started while habit keeps us going. "Motivation is what gets you started. 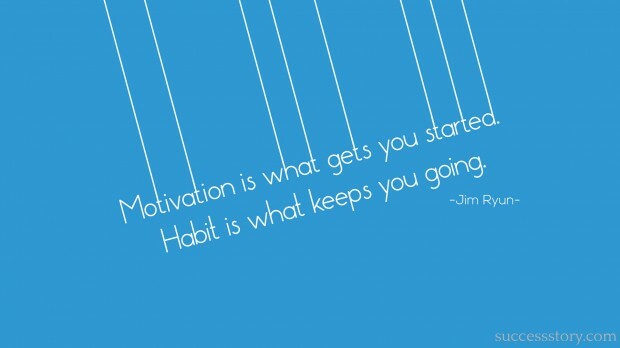 Habit is what keeps you going"